Hi there. My name is Andrew Looney. 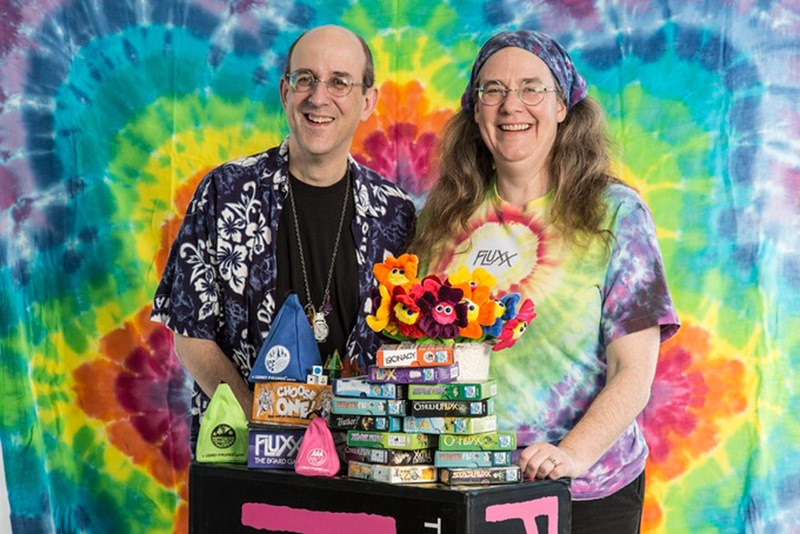 My wife and I started Looney Labs 20 years ago, to publish my card game Fluxx. It’s been doing very well for us… perhaps you’ve heard of it! But I’m not here to talk about Fluxx, or any of my card games. 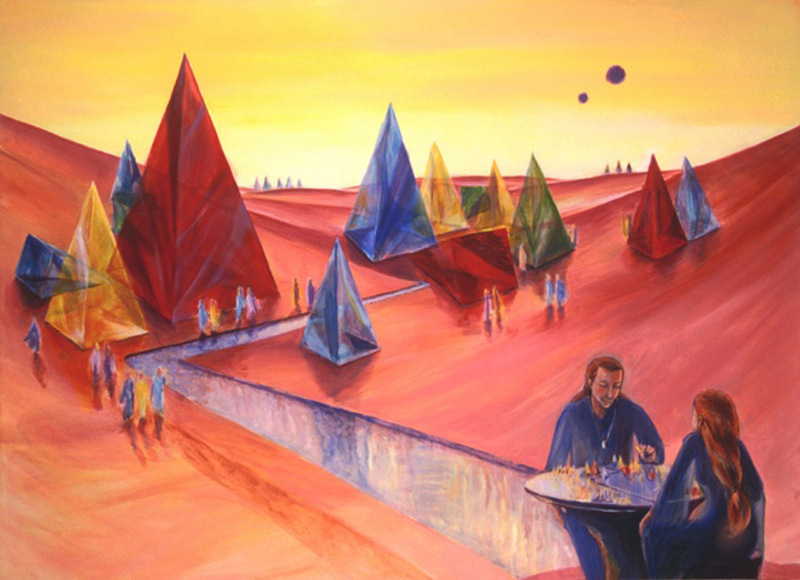 I want to tell you about these beautiful pyramids I’ve been obsessed with for most of my life. 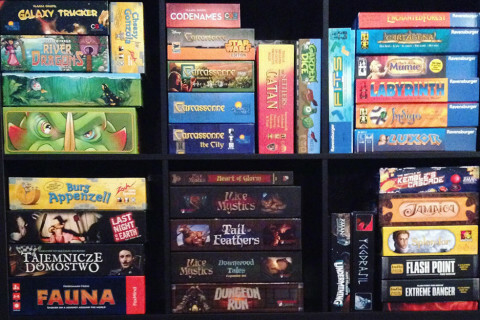 It started in the late eighties, when I wrote a short story describing a fictional board game. 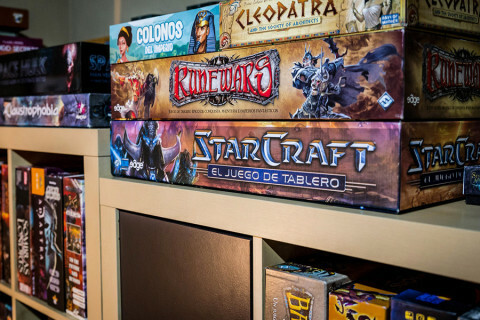 This led to efforts to create a real board game like the one I had described, which in turn led to creating other games, the likes of which I never could have imagined at the beginning. 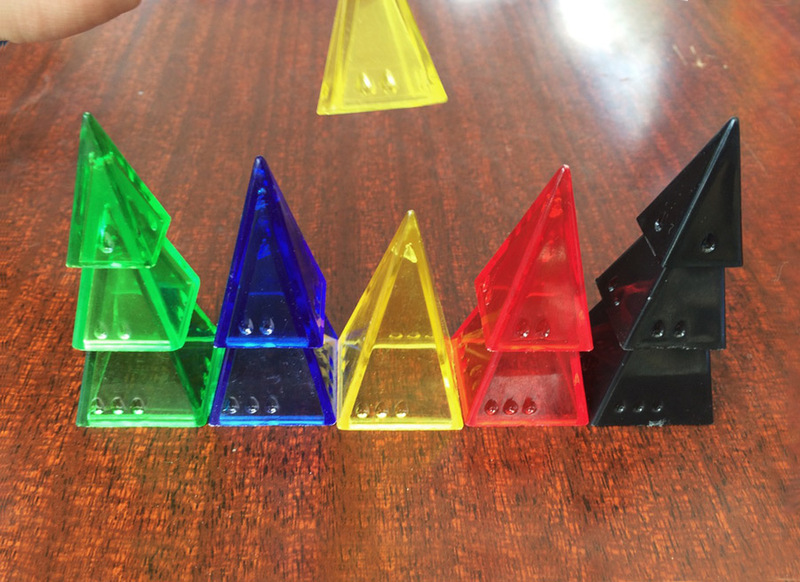 It took us many years to get to the stage of being able to manufacture plastic pyramids like the ones I had imagined, but once we finally had the stacking, nestable pyramid pieces we sell now, things really started to take off. For the first 8 years, we only had one game for the pyramids, called Icehouse. But after awhile we decided to try making up other games for the pyramids. And then we realized that the pyramids weren’t pieces for one game—they were a game system, like a deck of playing cards! 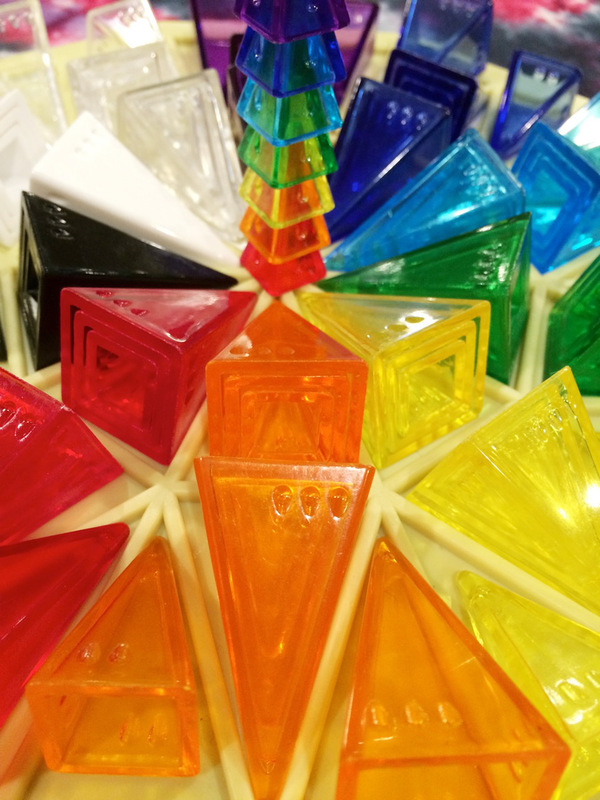 Before long, we had a whole bunch of different games you could play with the pyramids, and over time, more and more games have been invented for these amazing and beautiful little game pieces! It’s pretty amazing to see something you’ve created take on a life of its own, but that’s what happened with our pyramids. Once our fans got into trying to invent new games for the pyramids, we started to lose track of them all. Some of our fans set up a wiki for new game rules, and at this point, there are about 500 unique game designs listed at this wiki! 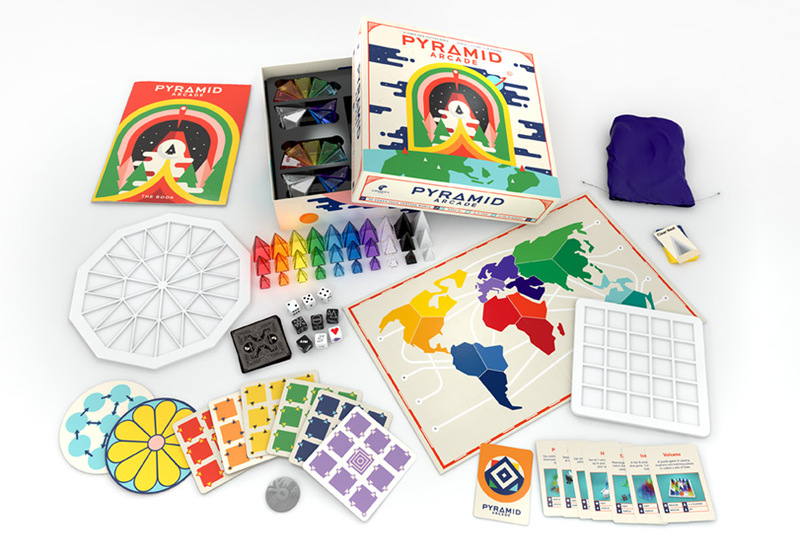 Over the years we’ve been selling these pyramids in different ways—sometimes as a set with the rules to one or a few games, other times just as a la carte pieces for the DIY gamer to create their own set with. But now we are creating the ultimate set for fans of our system: It’s called Pyramid Arcade and it includes a library of 22 different games and everything you need to play each one. It’s absolutely incredible. Pyramid Arcade is on Kickstarter right now. 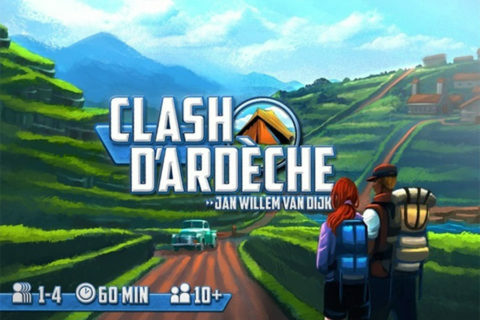 It funded within the first 12 hours, and it will be arriving in game stores this fall. Please check it out!